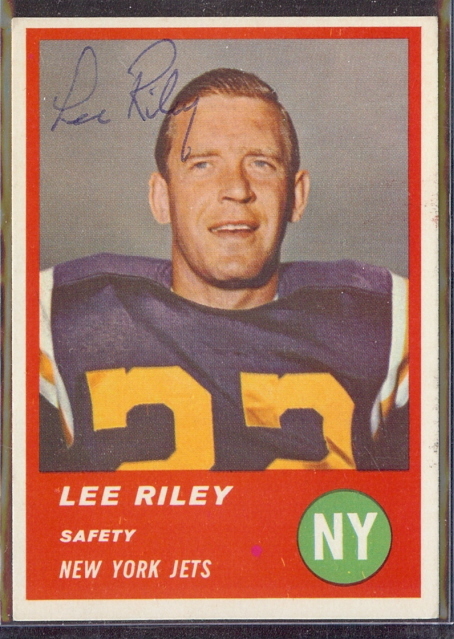 Here is an interesting piece that I dug out of The Day, from New London, Connecticut, issued January 10, 1970. 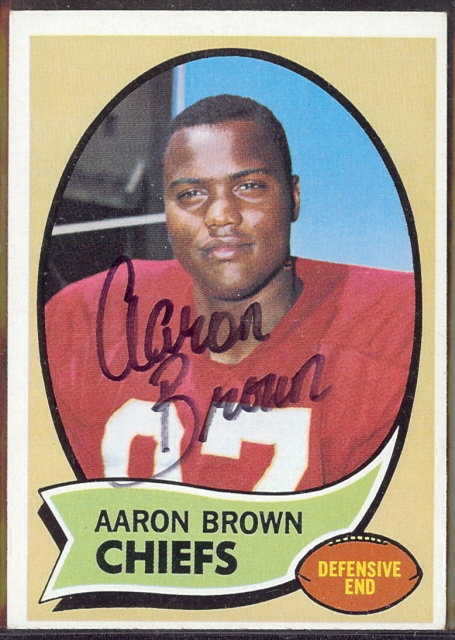 Aaron Brown often gets overlooked on a Chiefs defense that had so many superstars. 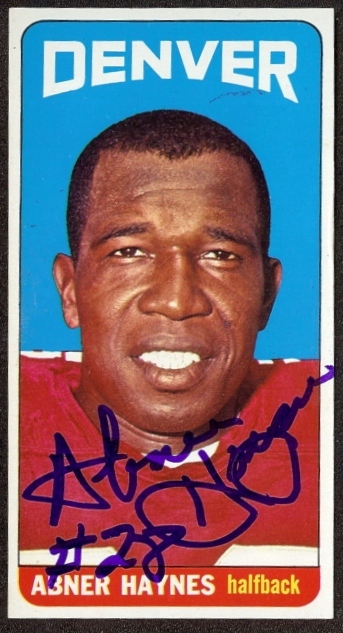 But Brown was a force, himself. 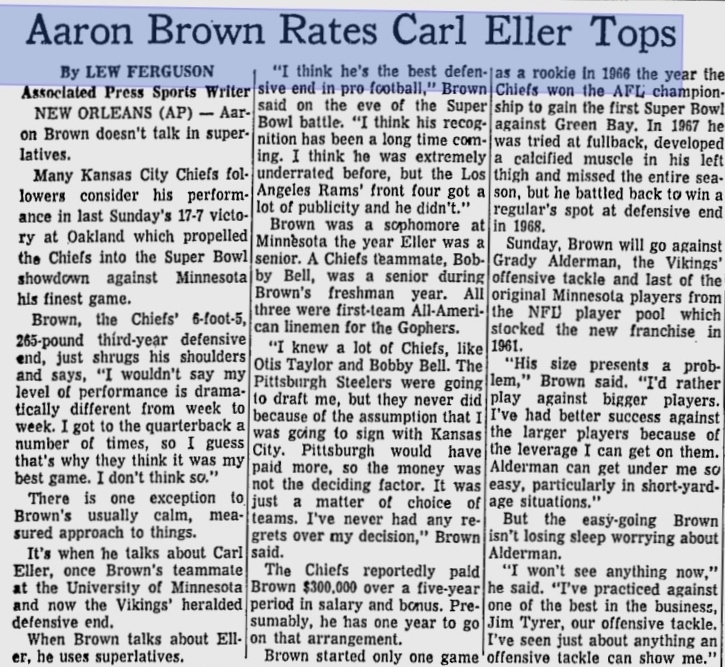 Here, on the eve of Super Bowl IV, the Chiefs defensive end speaks glowingly of his old college linemate, Carl Eller, whom he would face the following day. When the 2013 NFL season came to an end, so did the career of the Denver broncos Vice President of Corporate Communications, Jim Saccomano. 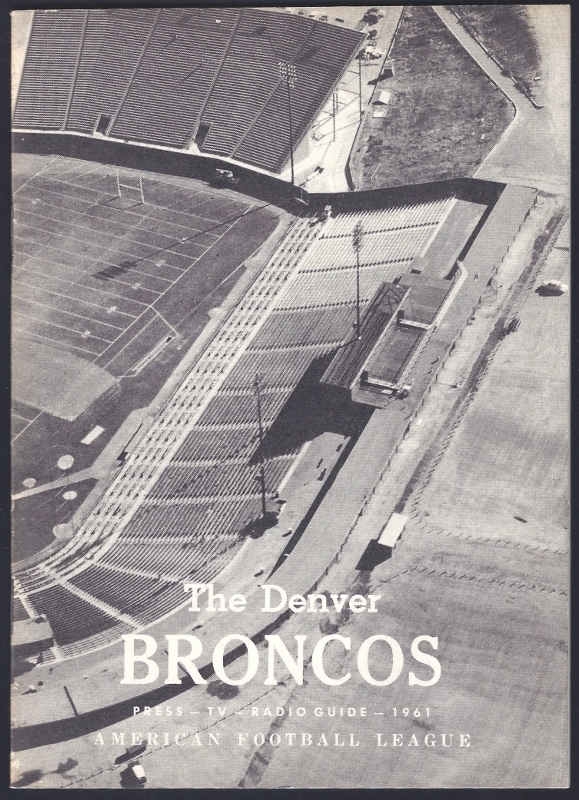 “Sacco,” as he is affectionately known, worked in the Broncos media relations world for 36 years, worked his way through 876 Broncos games, 27 Super Bowls and four books about the Broncos over his storied career.